Distributor Cap Triumph 350 500 unit models. Distributor Cap, Triumph 350/500 unit models. 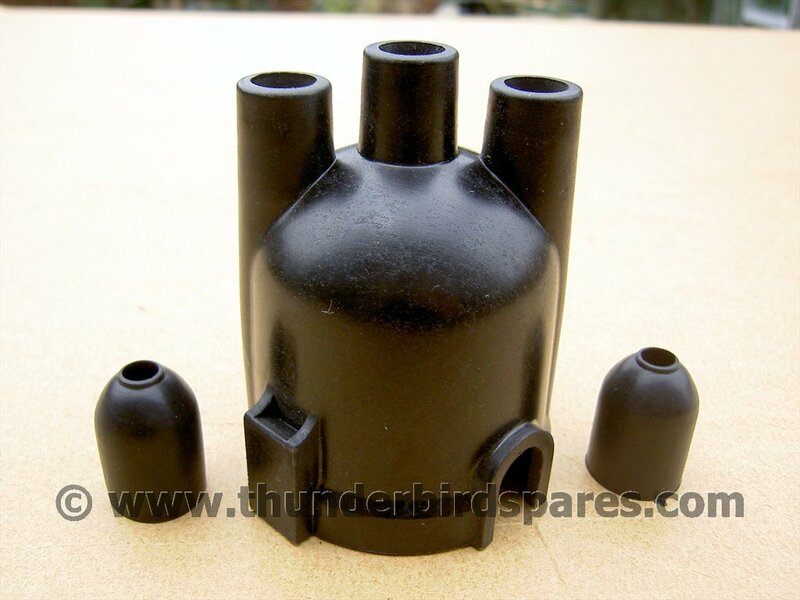 This is a new Distributor cap to fit the Triumph unit construction 350 & 500cc models from 1958-62 and any other make of twin cylinder machine that used the Lucas 18D2 distributor. It comes with the two rubber caps for the spark plug HT terminals.